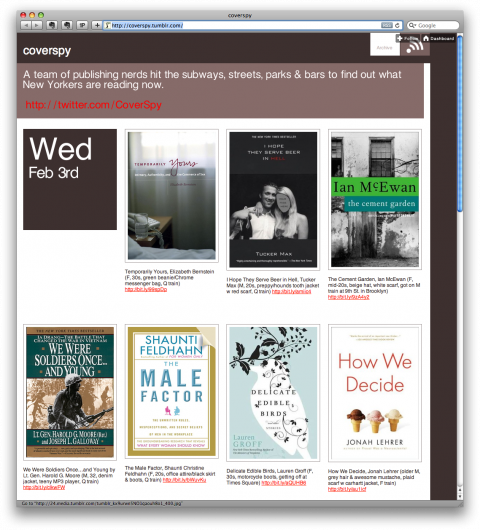 Coverspy is a team of NYC publishing nerds who note each book cover they see during their commutes and post them to a Tumblr and Twitter page. Awesome! They can’t do that with my kindle, can they? awesome. (though i LOVE my kindle) it’s what i dislike about the kindle revolution, i find it really interesting people watching via book covers. People watching via the Internet. I like that they describe the person reading the book.